Testing Trisha ~ Single parenting at its finest: Aloha/Fun Follow/Feed Me "Friday" - New Year's Eve! Aloha/Fun Follow/Feed Me "Friday" - New Year's Eve! What are your plans to ring in the new year? A: Were staying in tonight, probably going to play Wii, may have some friends over, but tomorrow night were going out! It's Hubby's Birthday on January 1st! No big plans for us. we got the Shrek 4 on dvd so we are going to watch that. I won the new Scrabble Flash game, so after the movie we will probably have a game night with the kids. With lots of pizza and snacks of course! Then at midnight, we will watch the ball drop. Nothing horribly exciting but still fun. We'll stay home. We have our traditional NYE foods, etc., and we'll just hang out. On New Year's Day we stay home, too. I only wish we could get the Mummers Parade on TV; that's a big part of my childhood New Year memories. Thanks so much for following me. I am now your newest follower. Thanks so much for stopping by! Happy New Year and Happy Birthday to your Hubby! Hi There! Happy Friday follows! I'm your newest follower on Networked Blogs. Drop by my blog and say hi! Very nice, definitely take it easy :) I saw you linked up to the friday blog hop too! We'll be hanging out with my husband's family...and probably playing Wii too! 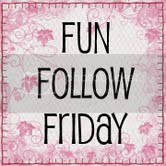 Thanks for posting the Feed Me Friday button, and have a wonderful Aloha Friday! How cool your hubby is a New Year Baby! :) Happy Birthday to him! We'll stay in and run from window to window to see the fireworks. The kids will love it.